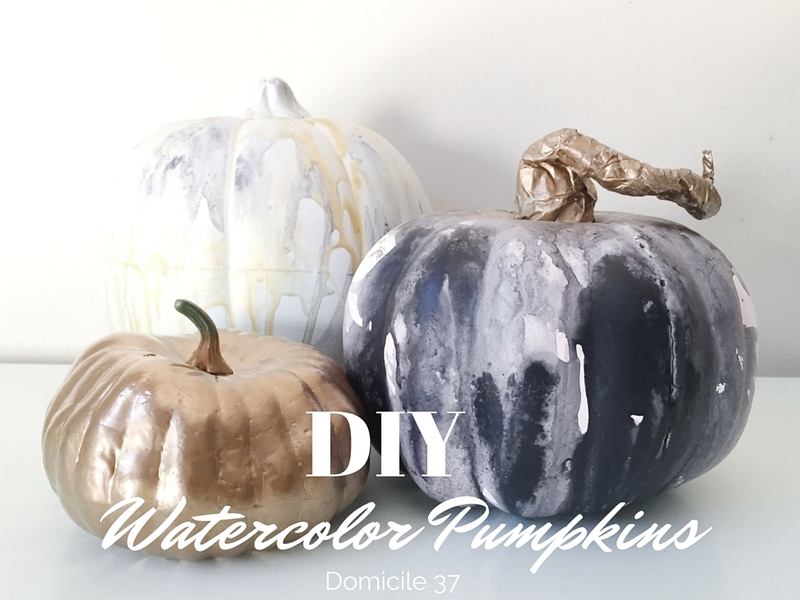 DIY Watercolor Pumpkins are a beautiful easy fall decor idea! The perfect neutral fall decoration! Hello all! I am Jess and am so thrilled to be a Home Decor/DIY contributor for Old House to New Home! I have an eclectic sense of style and that trickles down to my seasonal decor as well. 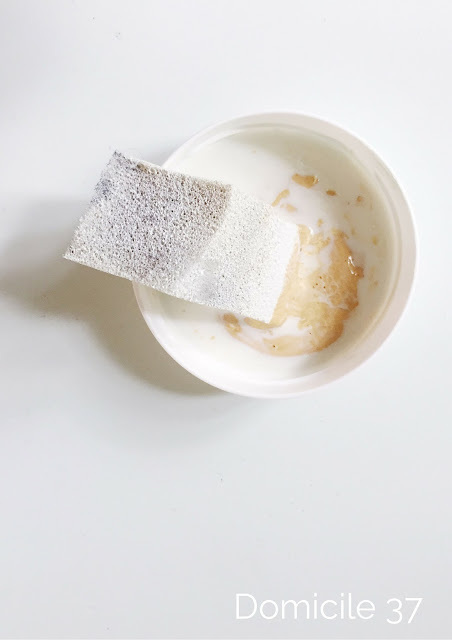 Today, I have prepared for you a short and easy DIY that can give a sweet, cool look or give a little bit of the spook factor. 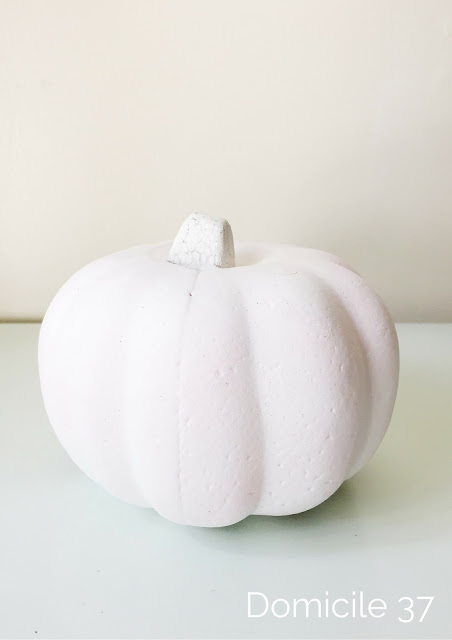 Pumpkin painted white–flat paint would work best so that the paint can adhere to it. Please do not try to paint the plastic using this technique, the paint will not stick. You will NEED to paint the pumpkin and use that paint as a base so that the paint can adhere to the pumpkin. Paint–Paint colors of your choice. I used latex paint from my paint stash, feel free to use acrylic base paint or even watercolor. Using a craft dish, put some paint in the dish and water it down and give it a good stir. 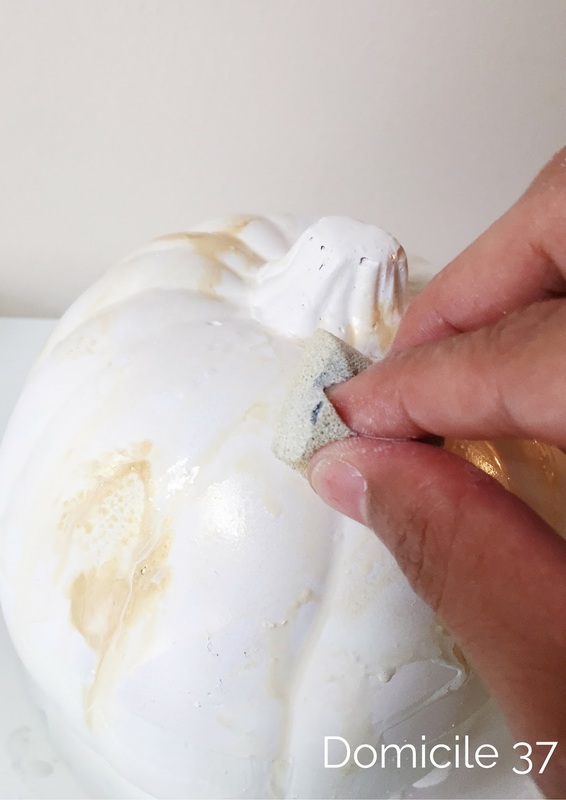 Take your sponge and dab it in your water-downed paint solution and dab it on your pumpkin squeezing out your paint while your dabbing your pumpkin. The paint will give a watercolor drip effect. Note: For a more translucent look add more water, for a more vibrant look, use less water. Rotate the pumpkin, so that the drips can fall side-ways and give an abstract look. Let the paint dry and if wanted you can seal this look using a spray sealant. This is how the pumpkin will look when you apply this technique on the top portion of the pumpkin. Feel free to flip the pumpkin upside down for an all around drip effect. 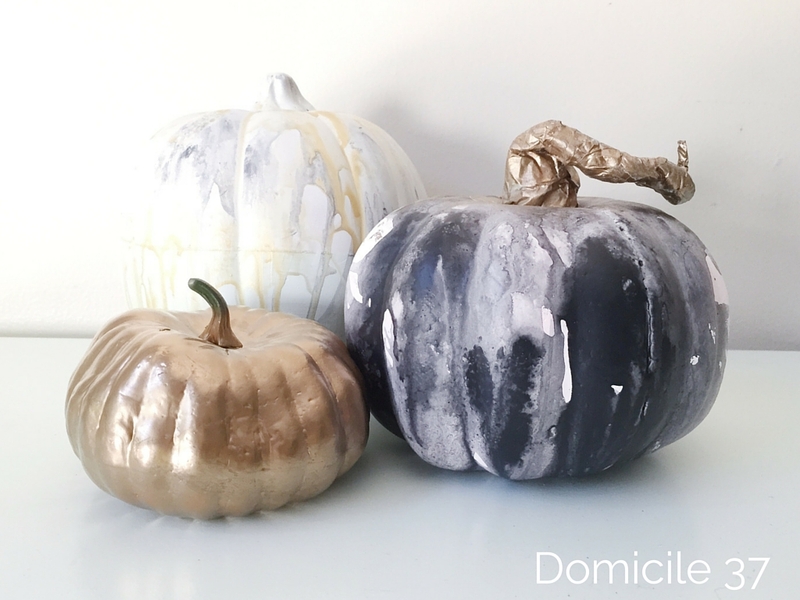 There you go…Easy, spooky, chic watercolor pumpkins…on a budget! For more projects like these please stop by my blog at Domicile 37. 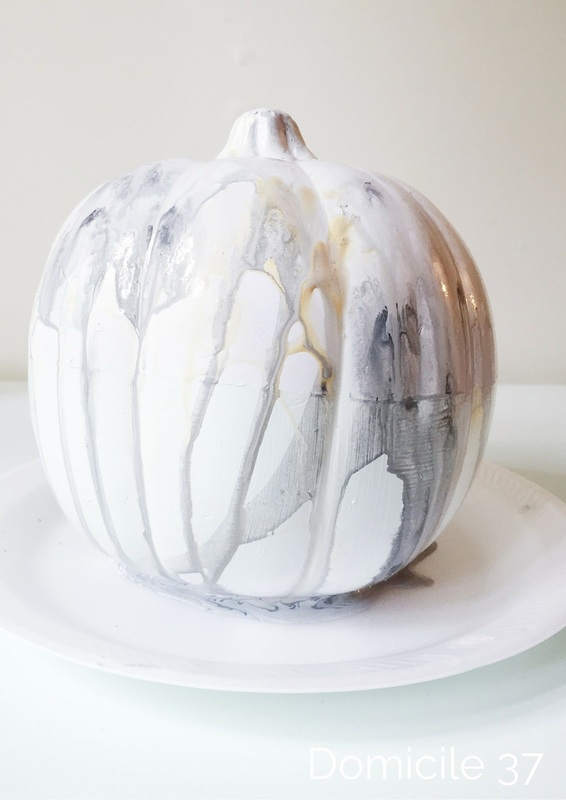 I hope you try these Easy DIY Watercolor Pumpkins this fall! Yes, Jess has the best ideas!! These are awesome! What a creative idea! I love them!! I need to make some for myself! I love to see all the different ways people do pumpkins. This is so very unique. There are so many fun ways to decorate them! I love this watercolor technique! Your pumpkins turned out adorable . What a creative idea.